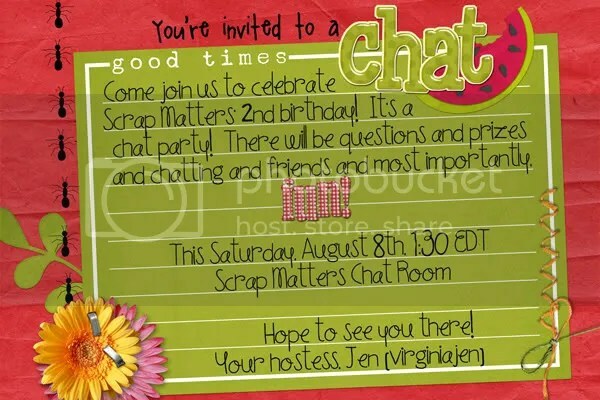 2nd Birthday Bash at ScrapMatters Starts Today! 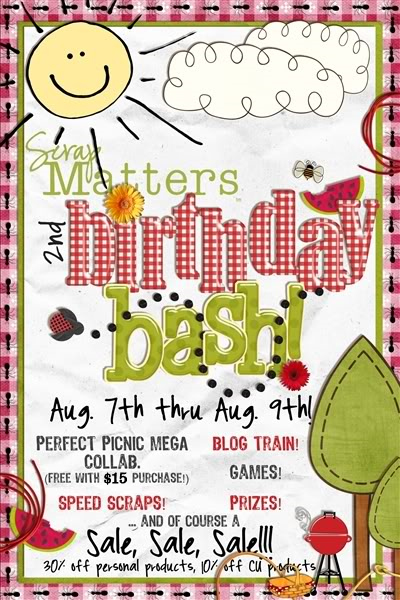 I wanted to let you know some specifics about our 2nd Birthday Bash! 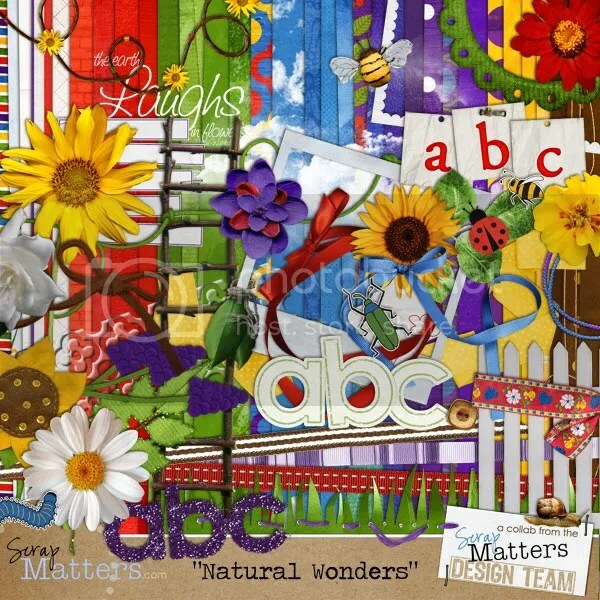 We are looking forward to a fun, fab, fantastic party at ScrapMatters. 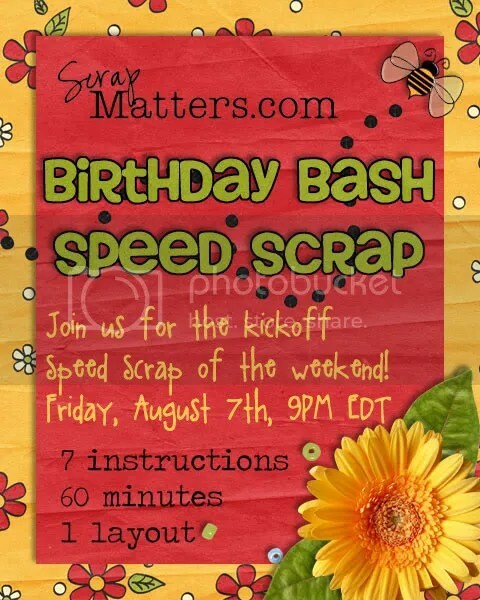 I hope you will join us tonight at 9pm Eastern for the first of seven Speed Scraps to be held this weekend to celebrate ScrapMatters’ Birthday Bash! It is sure to be a great time for all! Here’s a peek at the participation prize for tonight, remember there will be seven different participation prizes this weekend–gadzooks! 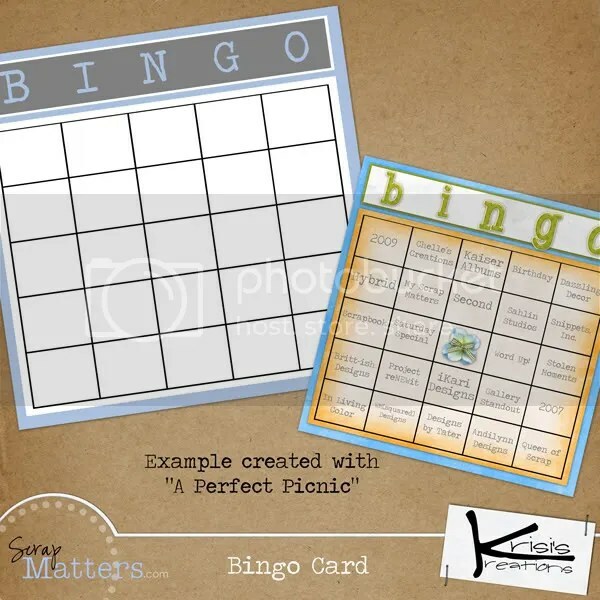 Also if you haven’t made your bingo card yet, hop on over to the forum to read all of the rules and peruse the word list and make your bingo card. There will be two bingo games tomorrow, the second one will start after the first one is finished. You need to have your card finished and posted to the gallery by 7am Pacific tomorrow morning. The first bingo game starts at 7:30 am Pacific and there will be new words every half hour. Also I am having random drawings for people who introduce themselves in the welcome forum. If you haven’t taken the time to introduce yourself now is the time to do so. 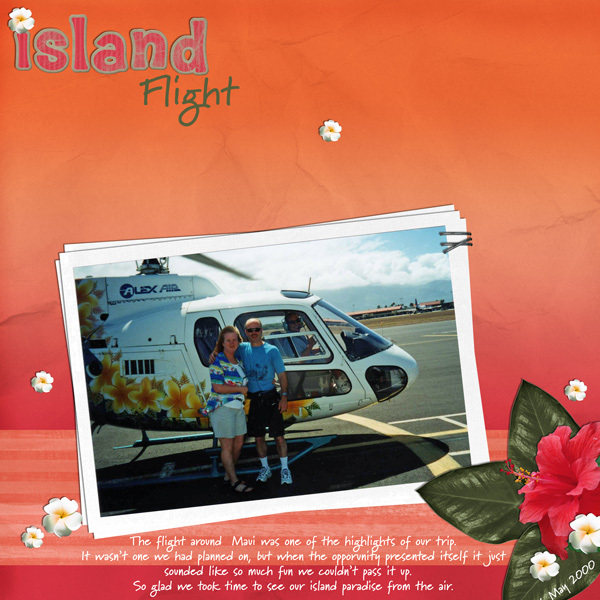 So click on over to the “Introduce Yourself” topic and say hi. If you didn’t get the Special Edition Newsletter with the buzz on all the happenings this weekend, you can get a copy by clicking this link. To make sure you never miss an issue of the SM newsletters subscribe now by clicking this link. 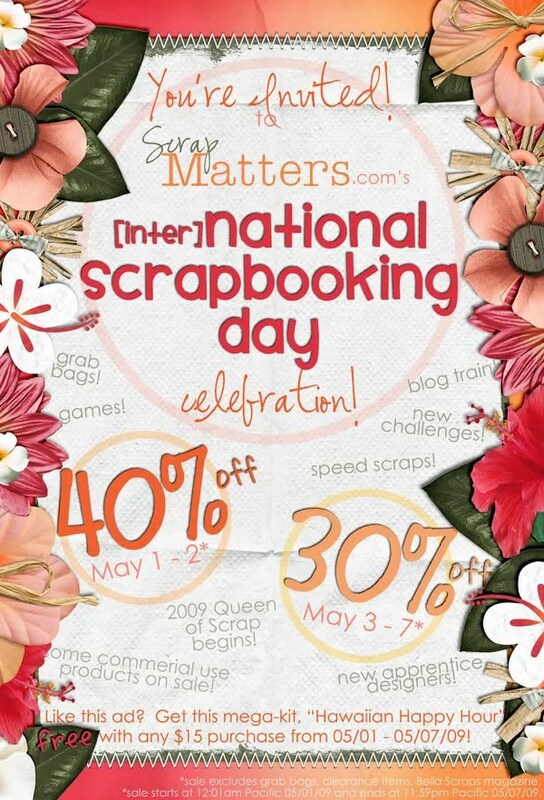 Then you’ll receive the next edition and always have the latest scoop on what’s new and what’s happening at ScrapMatters. Day Time Speed Scrap on Thursday! Speed Scrap Tomorrow Afternoon! Fantastic Participation Prize! 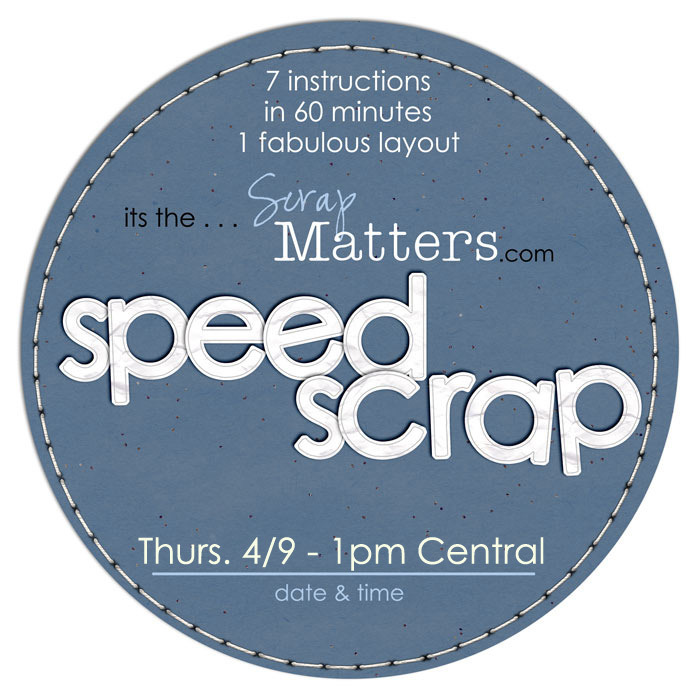 Tomorrow afternoon there is another daytime speed scrap at ScrapMatters. Another night of fun and get-it-done scrapping. 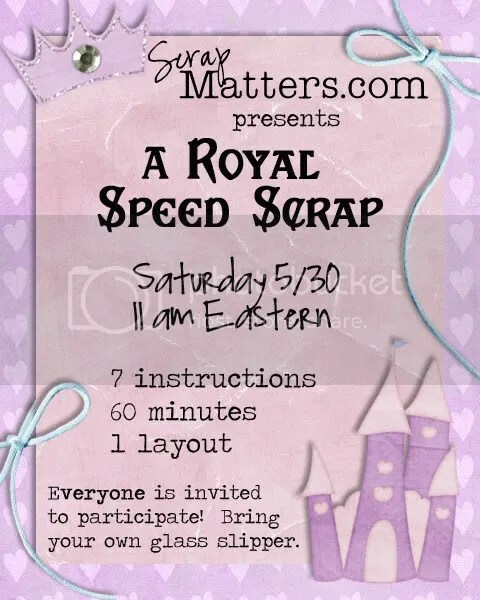 The speed scrap is tomorrow at 11 am Pacific time, 12 noon Mountain time, 1 pm Central time and 2 pm Eastern time. I love speed scraps and I’m thinking this will be a much better time for me than some of the others when I’m trying to get dinner ready or head off to the gym. 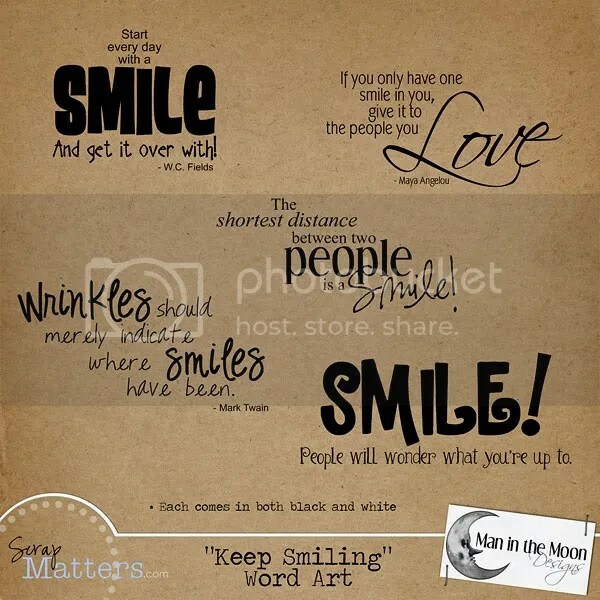 Look at this way cute participation prize you’ll receive just for following a few simple directions and scrapbooking. 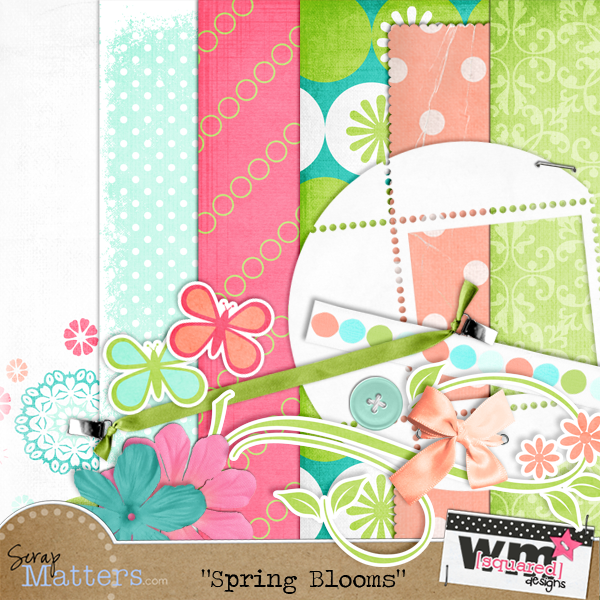 FREE mini kit participation prize Spring Blooms by WM squared designs. Hope to see you tomorrow afternoon.